Dentist near Edgebrook, IL. 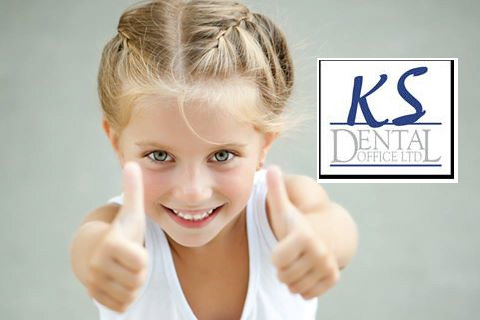 KS Dental Office | 6217 N Milwaukee Ave.
Are you having a teeth problem? At KS Dental Office, we know that teeth pain is one of the worst types of pain. And because of that, we are proud to provide a quality preventative dental care services and treatment that tailors to your budget and ensures maximum comfort. Our friendly environment, state of art technology and complete array of dental services will certainly exceed your expectations. Whether you have dental insurance or not – we are open for visitors at any time during the working hours. We provide exceptional dental treatment in a comfortable and inviting atmosphere. Our practice has been a part of Edgebrook community for over 15 years! Not only we will take care of your teeth – we ensure the best treatment and will recommend you the best hygiene services to prevent similar teeth problems from happening again. From cleaning to deep cleaning of teeth as well as other advanced extra dental services, our focus is nothing but your shiny smile. Whether you need an emergency dentist in Edgebrook Area or a preventative dental care, you can schedule your thorough exam now at a discount! Let us take care of your teeth in the right way possible and let you see how important optimal oral health actually is. If you are interested in learning more about how our dental care services can help you, contact us now for a full examination at our offices. If you have any questions, concerns, or would like to schedule an appointment, please contact our Dentist Practice using the information provided below. Online Map & Driving Directions to Our Location.